Hearthstone: Top Tier in Wild? I don’t know about you all, but I personally haven’t touched Wild Format since it’s release earlier this year. 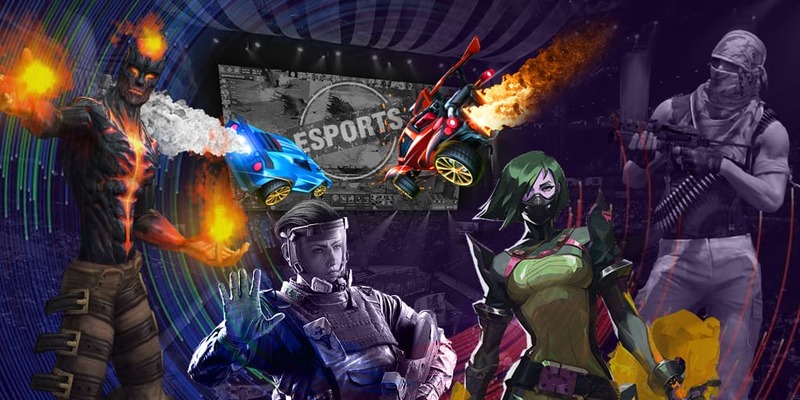 It is certainly the lesser played of the gamemodes Hearthstone has presented us with, and very few competitive scenes have come anywhere near it. However, as the first Meta Snapshot was released for it today, now we can take a look at the Meta for a whole different scene. I mean, it’s probably just all aggro like Standard, right? Surprisingly, you would be wrong in assuming that. 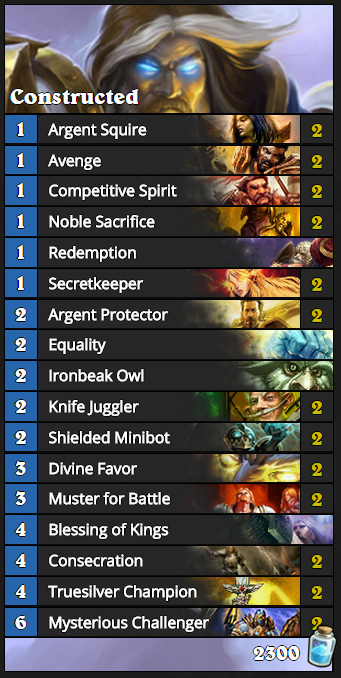 Of course, one of the top tier decks is the old Secret Paladin in all of its awful glory. I had some unfortunate flashbacks just hearing that name again. Still running staple Secret Paladin cards like Shielded Minibot and Avenge (secret), this deck is just as irritating to deal with now as it was then. The highest cost card it runs is the 6 Mana Mysterious Challenger, the next of which is the 4 Mana Truesilver Champion and Blessing of Kings. Disgusting, really, but still incredibly effective. Up next, surprisingly enough, is Dragon Priest. Yeah, Priest. Anyone remember that class? The last time I saw a Priest in Competitive format was months ago. And when I say Dragon Priest, I mean full on Dragons. This bad boy typically runs Deathwing, Dragonlord as its one and only Legendary card in the deck. Despite the fact that Priest is often considered the class that got the worst overall treatment from the Old Gods expansion and Year of the Kraken cards being cycled in, Wild Format didn’t seem to mind. So far, we are seeing an impressive Control style Meta from Wild so far. So, where is Aggro Shaman hiding in all this – oh. Patron Warrior has held on through all the new cards being released, and especially with Naxxrammas cards being able to be used, several of which, such as Deaths Bite and Loatheb. It also received some buffs along with newer cards like Blood to Ichor, Ravaging Ghoul and Bloodhoof Brave. Overall, in Wild format, this deck is a monster and incredibly difficult to deal with. So, what have we learned today? For probably the first time in Hearthstone history, Aggro is far from top tier. If anything, it’s actually very low tier right now with many staple anti-aggro cards like Deaths Bite, Loathab, Antique Healbot and more being able to be utilized. Despite the lack of competitive play it may see, Legend ranks are still Legend ranks, whether or not they’re in Wild Format. We’ve found hearthstone live stream for this news.